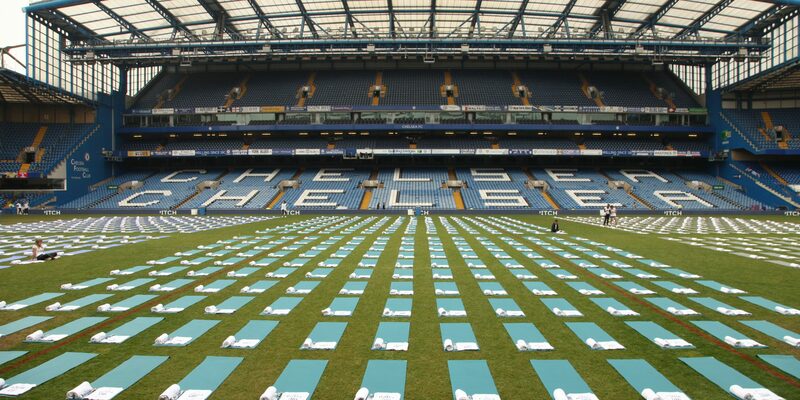 In collaboration with health & fitness guru Joe Wicks aka The Body Coach, we hosted the first ever High Intensity Interval Training (HIIT) session inside a football stadium on bank holiday Monday 28thMay, aptly named #HIITONTHEPITCH. With DJ Marvin Humes providing the tunes, Joe led two pulsating sessions on the hallowed turf at Stamford Bridge, streamed live across CFC & Joe’s Facebook and You Tube channels. Attendees shared once-in-a-lifetime snaps on the pitch, received a branded water bottle and tote bag, and even got the chance to meet the star of the show.